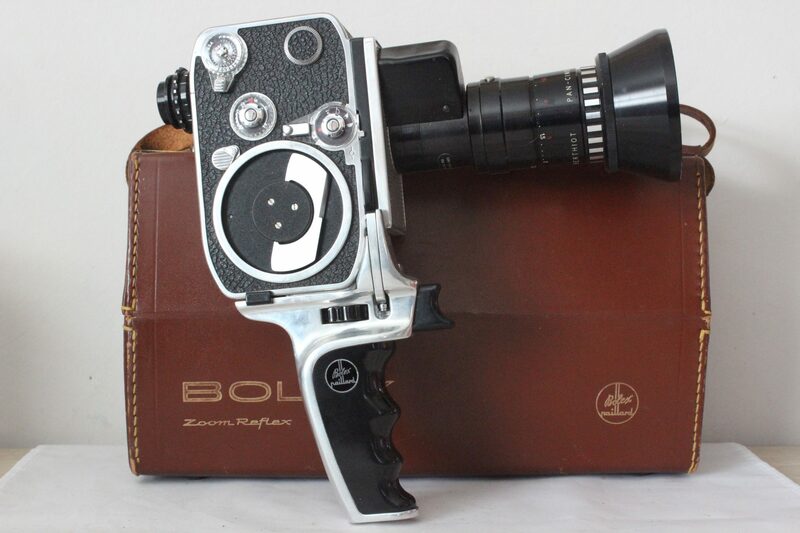 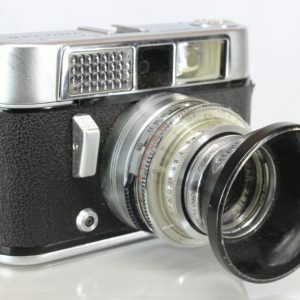 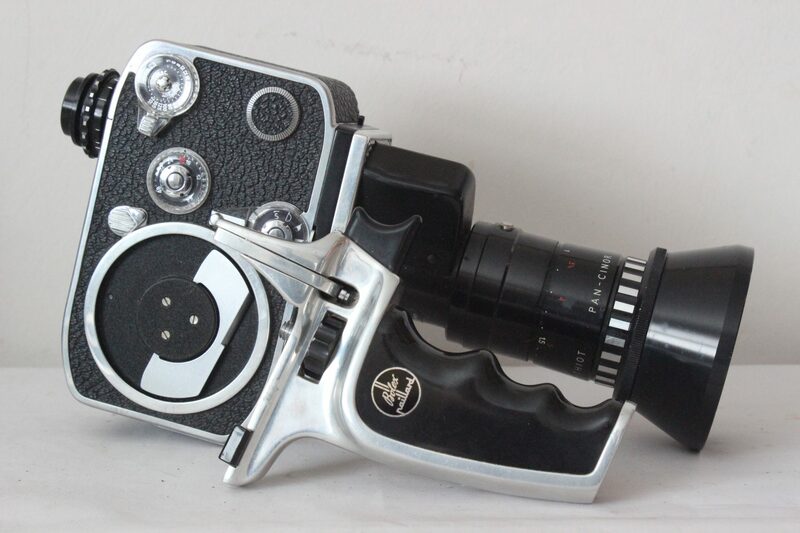 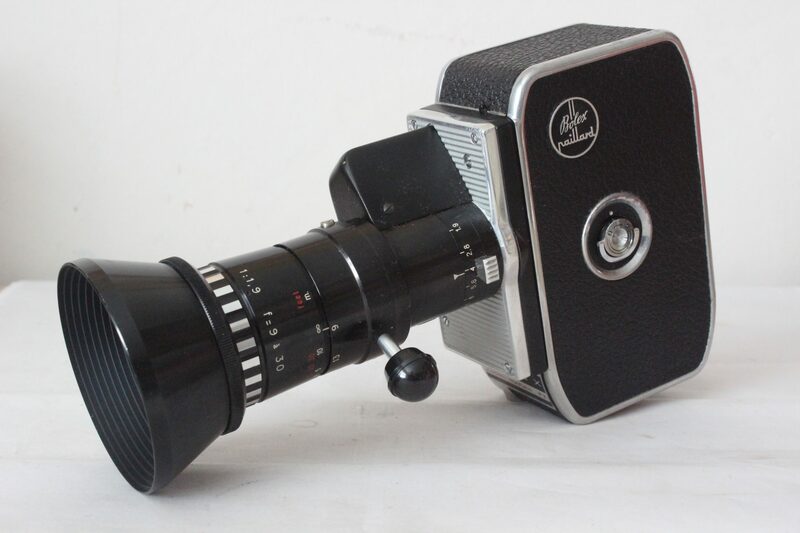 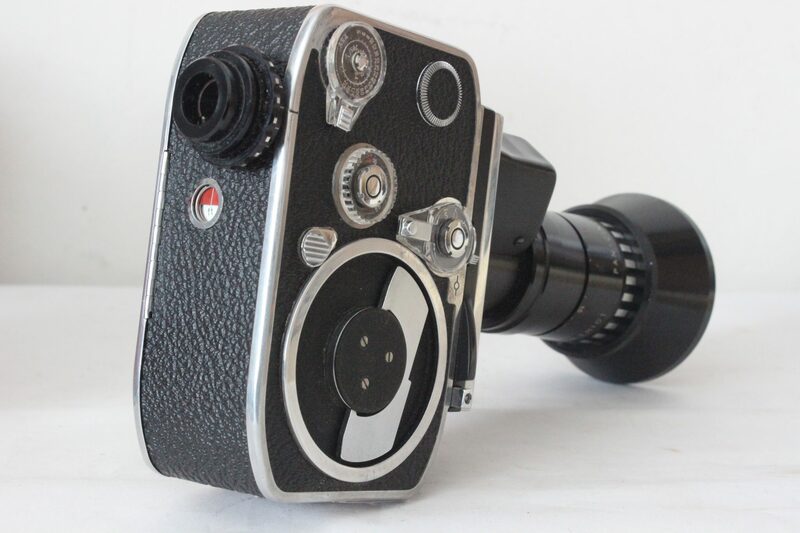 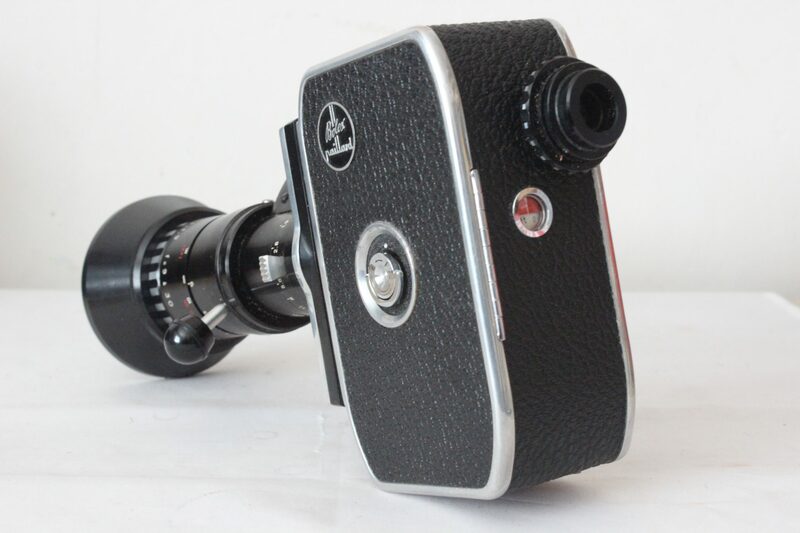 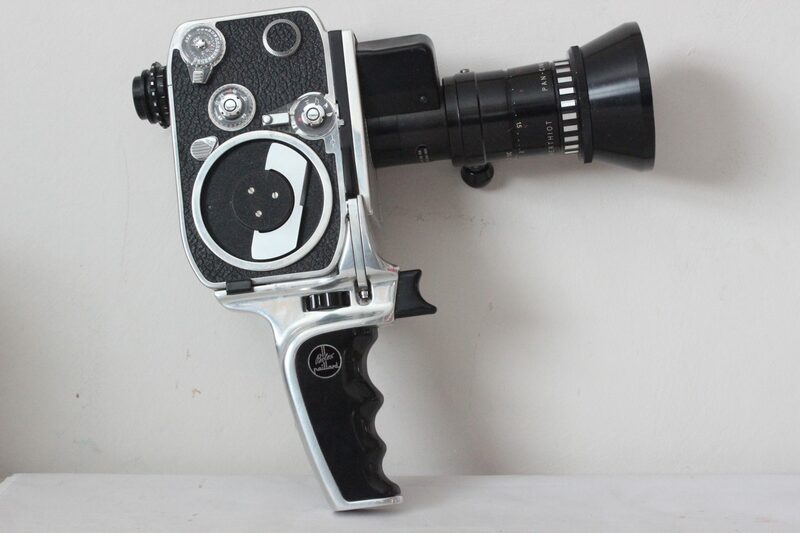 Classic 8mm Camera dating from 1962 with highly polished duraluminium body, covered in genuine Morocco leather. 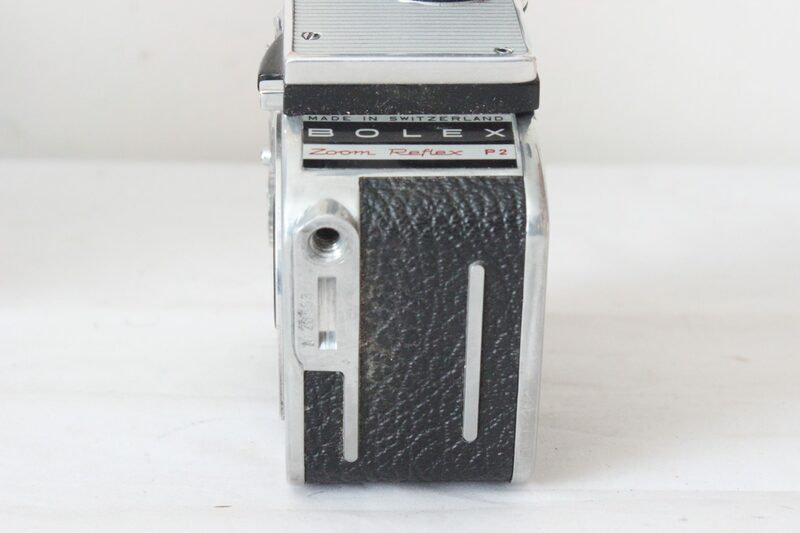 Metal parts are chrome-plated. 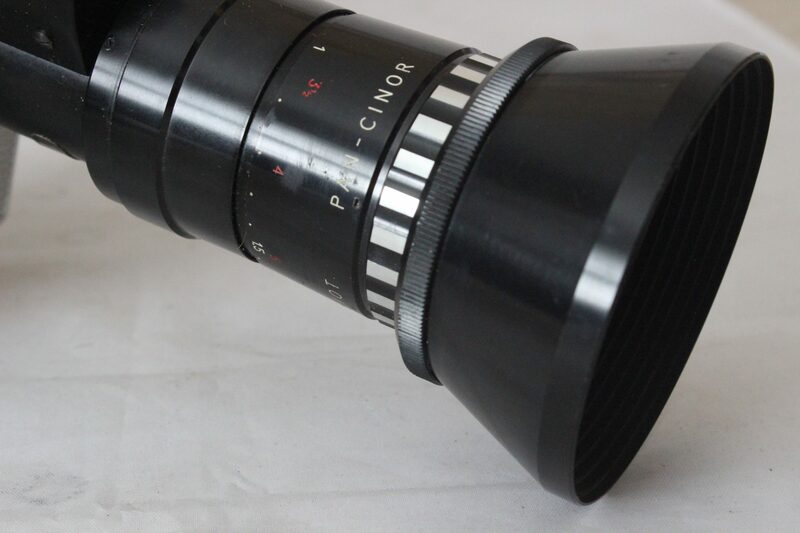 SOM Berthiot Pan Cinor 9-30mm f/1.9 zoom lens. 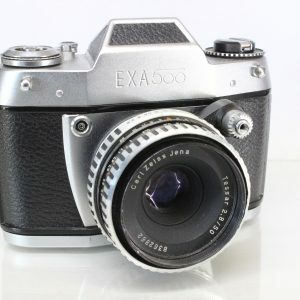 Reflex viewfinder with adjustable diopter for eyesight correction; Rubber eyecup. 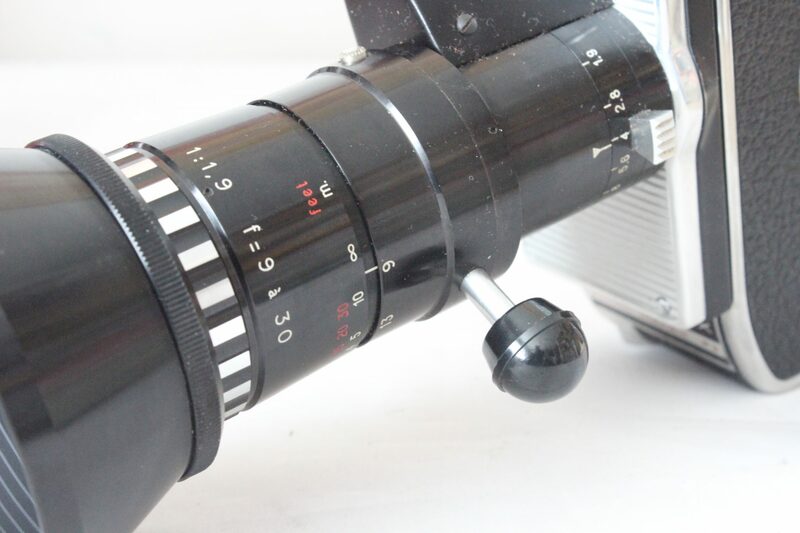 A battery powered (Mallory RM450) cadmium sulfide photo-resistive cell measures light through the lens. 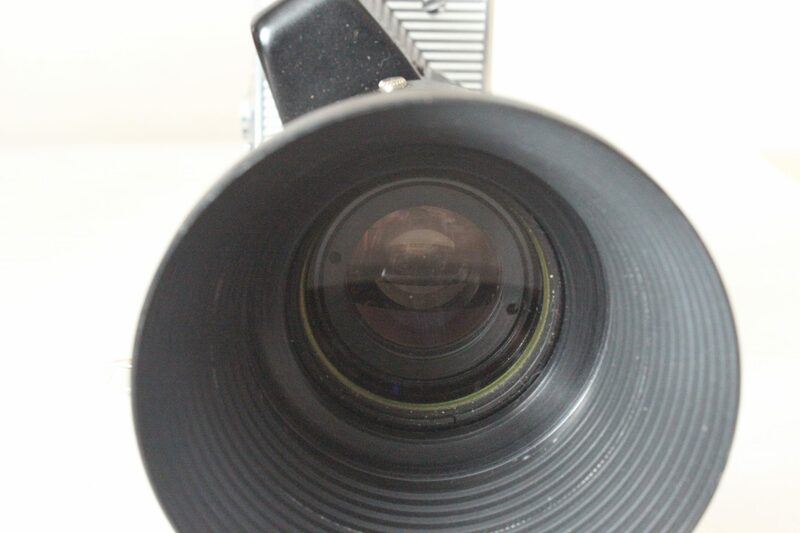 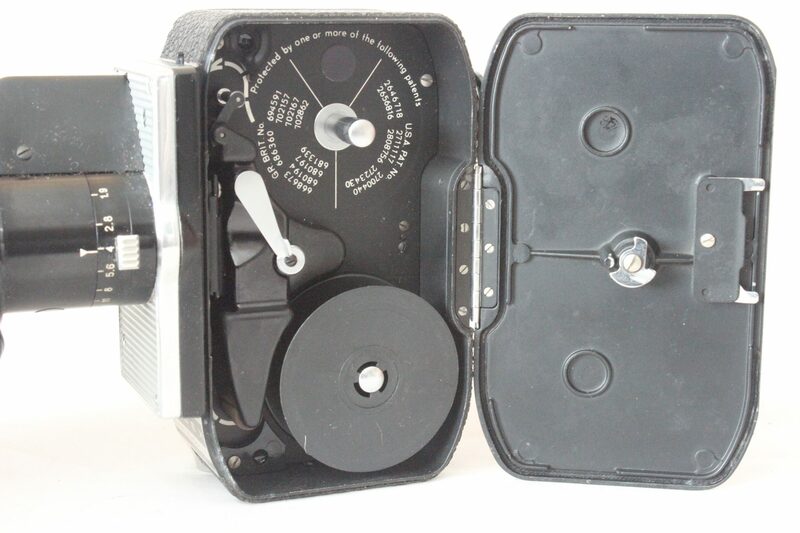 The exposure metering system is sensitive to film ratings from 10 to 400 ASA. 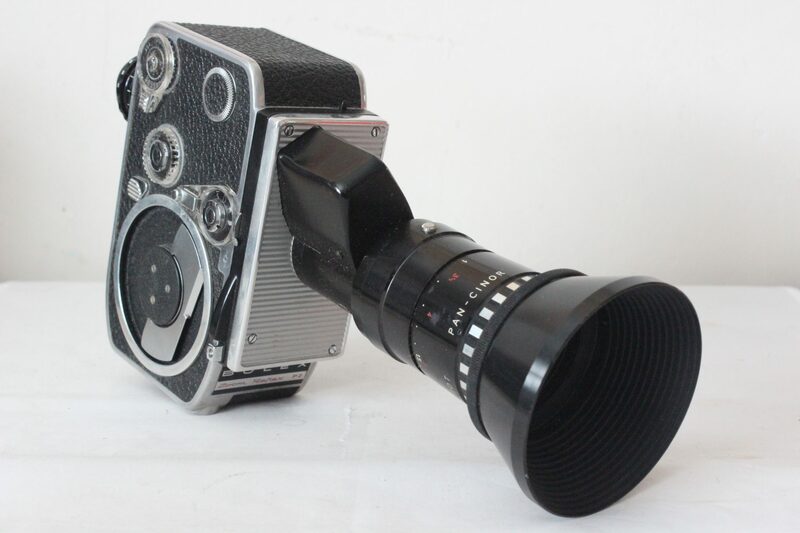 Includes purpose made Hand-Grip (not easy to find) and Filter Holder & Lens Hood.